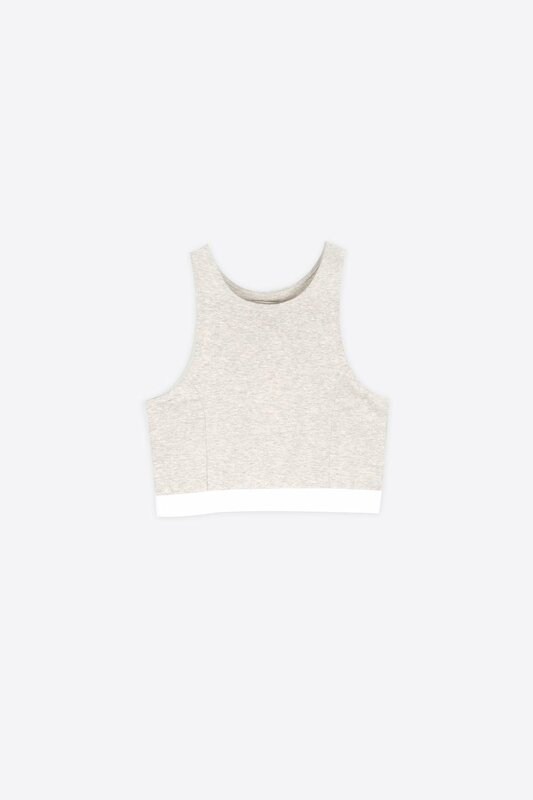 Crafted from a soft cotton blend fabric, this sports bra inspired piece is incredibly versatile, ideal for the spring season. 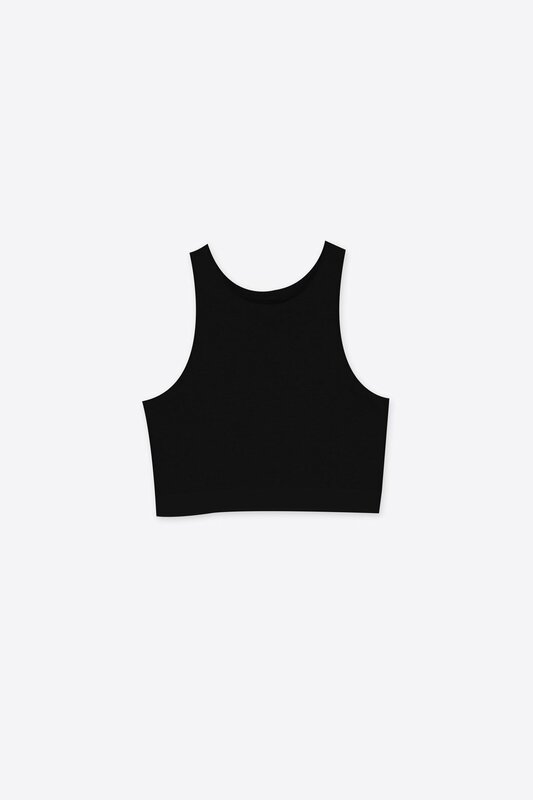 Comfortable to wear, it features an elastic waist band, high scoop neck, and unique panelled stitching. 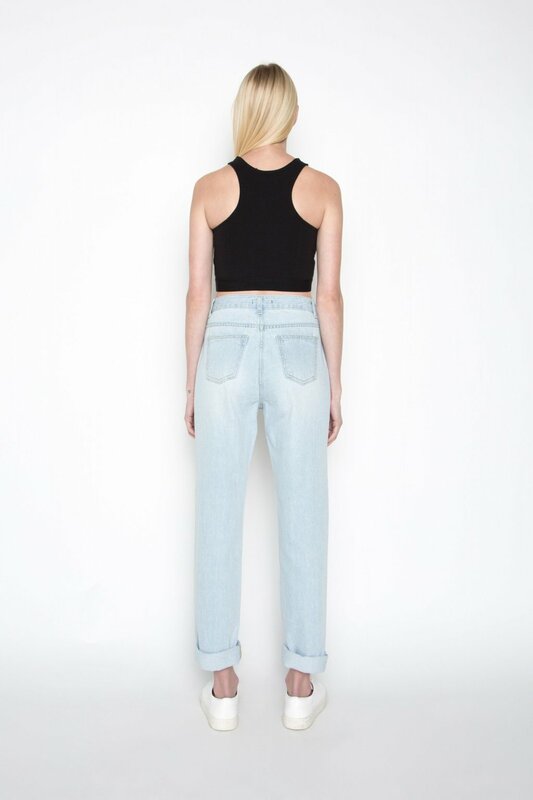 Wear with high-waisted trousers for a lightweight outfit fit for spring.